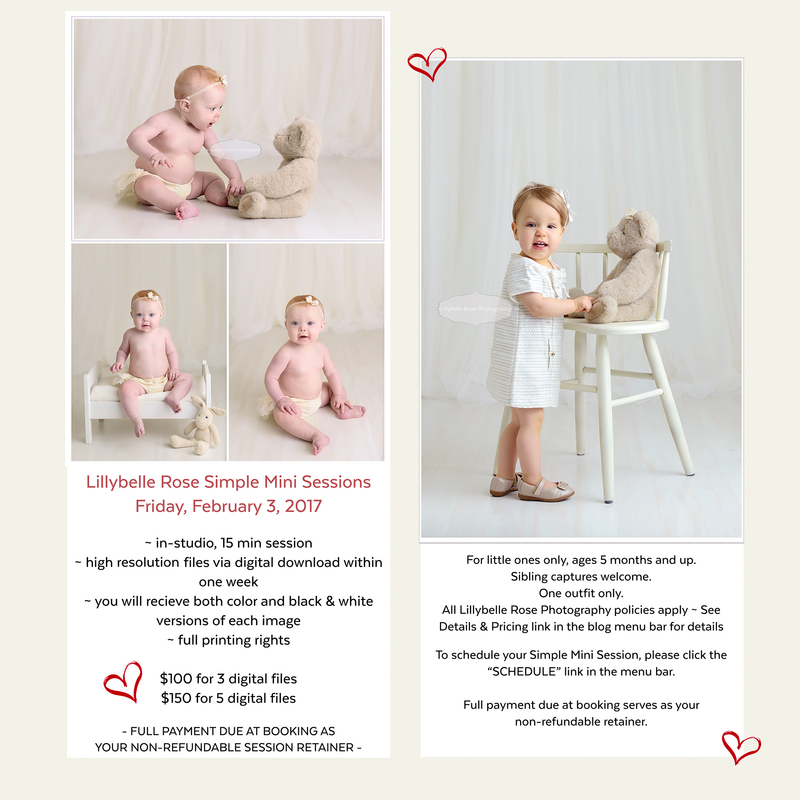 Whether you are looking to capture a milestone or a Valentine moment, these Simple Studio Minis are just right for your little ones ages 5 months and up. Sessions are 15 minutes long, and therefore recommended for children who do not need a lot of time to warm up to the camera. If you would like to bring along a touch of Valentine's Day in the way of a prop, please do! (Mylar is not recommended due to it's reflective quality.) While we only have time for one outfit, we will have time to add your prop for an image or two. Sessions are very limited and will book quickly, so grab your spot right away if you are interested! Book here: www.lillybellerose.genbook.com. All the details are below, but please do let me know if you have any questions!